Meanwhile, the odds are currently 200/1 for Hereford to lift the FA Trophy. Tranmere are the favourites at 10/1. I'm hoping Slough are going to win it ! Think you need to include Kettering, Banbury and Frome as potential challengers, too. Well we will see Saturday, If Slough are as good as you say /think, Saturday will be a good bench mark for us to see how far we have come. well done to Slough, showed that we are not unbeatable. this division is a big step up from the previous two years. Hereford beat Frome Town 3-0 on the road this evening thanks to first half goals from Garyn Preen, John Mills and Keyon Reffell. The win means the Bulls haven't been beaten in the league since Highgate in August 2015.
looks like we may have found our way..... at the start of the season we had several injured players, all are now back to full fitness and fighting for places. After last nights win at Frome, we are 4th... looking forward to Kettering (November) away.... not been there since the conference days. What a comeback for Slough at Merthyr on Tuesday night 4-0 down to comeback and win 4-5. My team have got great spirit in the camp, pardon the pun ! The title race is certainly bubbling along nicely with Kettering,Slough, Hereford, Kings Lynn and Weymouth all currently hitting some form, and with quite a few other teams still hanging on to the aforementioned coat tails. A hell of a way to go yet but for sheer entertainment value, of the games I've seen this season in the Evo-Stik Southern Premier, it's proving to be a watchable delight. With winter to come though, results/form can change, so it wouldn't surprise to see me to see a couple of other teams making progress towards the top. Hitchin is one team that comes to mind.They are not the best footballing side in the world and games against them are always a scrap but they are resilient and always hard to beat. Can't see them winning the title this season but think they will take points off good sides. Come On You Rebels ! Take my hat off to Slough, to come back from 4 down is a good sign of a never say die attitude, must say though in Merthyr defence, that goalkeeper of theirs is not of notable quality, had a trial with us and let in some howlers against lower graded teams. Weymouth, when we played them (2-0) their goalkeeper Travers, made a hash for the first goal, the second won goal of the month from Bowen... a screamer . Already a 10 point gap between 1st and 10th, two games a week will show the teams that have strength in depth, looking forward to the 11th Nov & the 6th Jan..... we owe you one......may give Kings Lynn a miss. Hereford are 1/3 to defeat Biggleswade in the Southern Prem match at Edgar Street tomorrow afternoon. As regards the league title Hereford are currently 10/17. All prices from oddschecker.com and may vary. Two one nil wins, Two teams who came for a point, wasted time from the kick off..... and left deservingly with nothing. poor show. I understand that we have only sold 30 tickets to their fans....Hope they bring a few more than that. Mon Apr 2: Redditch United (a) Could the title be decided at Redditch? After the news that tonight's game against Hitchin will now be played on Thursday evening, Hereford will play three away games in just five days. It's a lot to ask of the players and management given that all three games are at least three hours travelling from Hereford. However if, and it's a big if, Hereford can win all three of the games, then promotion celebrations can start just after 9.30pm at Biggleswade next Tuesday. We have to win three of our last five to guarantee promotion, we cannot rely on others dropping points, but a draw on Thursday between Kings Lynn and Kettering would suit us. Open question , what can be done about these constant midweek postponements ? I understand that it is not directly anyones fault, but, twice this week our game at Hitchin Town has been postponed, players taking half day holidays etc.... for what turns out to be a wasted of time and possible loss of income. I appreciate that money is an issue with quite a few clubs at this level to instal drainage etc.....but would it be an idea to keep all long distance games, as an example over 1.5 hours travel to Saturdays only, again this would only solve the time off issue but not the postponement that would become yet another midweek game, and the circle starts all over again. The league has expanded the season by a week, but those involved with promotion/ relegation cannot take advantage of it, and the altering of fixtures in such a short time would and is a nightmare i am sure. Sat Apr 14: Bishops Stortford (a) won 0-1 3 points needed to win league. 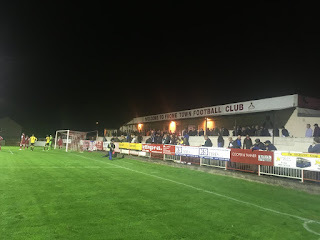 Tue Apr 17: Biggleswade (a) will we do it away? 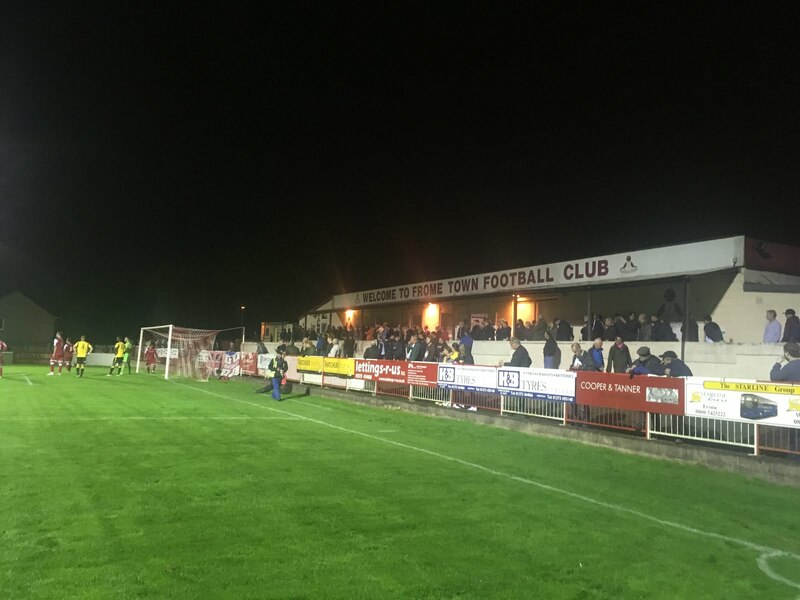 Sat Apr 21: Kettering Town (h) will Kettering spoil the party? They will want to finish in 2nd or 3rd place. 3 promotions as champions, each with over 100 goals and over 100 points.